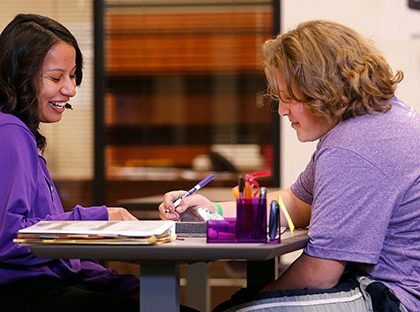 The Students Inspiring Students Scholarship program is a collaboration among Grand Canyon University, the GCU Scholarship Foundation, schools, and business and philanthropic leaders. Photos by Slaven Gujic and Travis Neely GCU News Bureau More than 3,000 high school students, parents and educators participated over the weekend in the FIRST Robotics Competition 2017 Arizona Regional at Grand Canyon University Arena. Among them was Ronav Chauhan, 5, of Tempe, who wants to be an engineer, like his parents. He has battled cancer most of his life, and the visit to see robots and the student engineers who built them was a gift from Make-A-Wish Foundation Arizona. The robotics contest featured student-built robots competing for fuel in a steam-power era. The robots assisted in preparing airships by collecting fuel (balls), which they put in boilers, which in turn “burned” the fuel to power the airships. Robots also delivered gears to pilots. 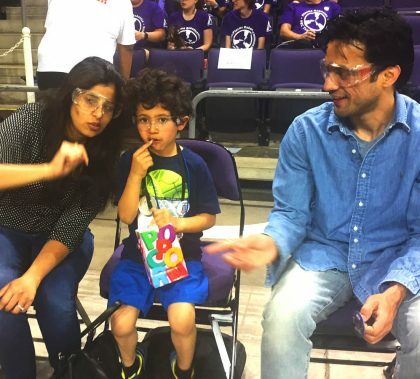 The 3,000 high school students who participated in the FIRST Robotics Competition 2017 Arizona Regional at GCU Arena were joined Friday by Ronav Chauhan, a 5-year-old who has battled cancer most of his life. Make-A-Wish Foundation Arizona arranged for Ronav, who wants to be an engineer, to have a dream day with the robots and the students who built them. 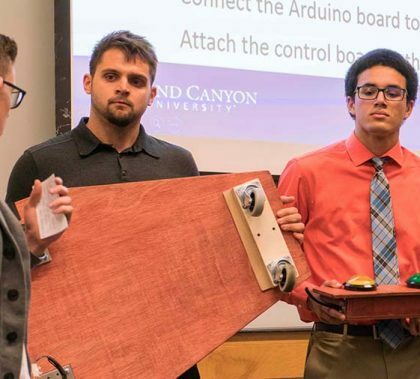 This year’s Canyon Challenge, scheduled for Thursday afternoon at GCU Arena, features five mission-driven finalists competing for the $15,000 in prize money. Storage Together, which won an international competition in Barcelona last fall, is among the competitors. 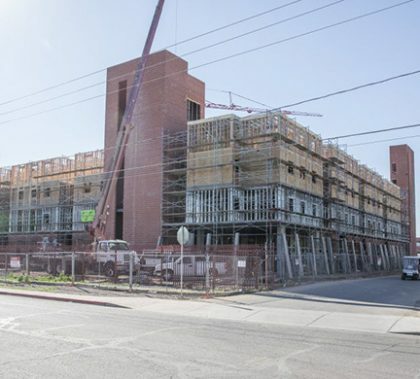 The most high profile current construction project on campus is the six-story Diamondback Apartments, located north of the parking garage at 29th Avenue and Camelback Road. They are expected to be ready for the 2017-18 school year. Work is scheduled to begin next month on the remodel of Brazell Stadium and the second phase of GCU Softball Stadium. This week’s edition of Antelope Intros features a campus police officer who’s really good at two different pastimes. But a far more important area of his life comes first. 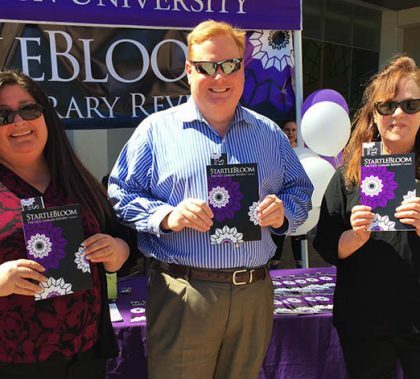 The second volume of “StartleBloom: The GCU Literary Review” was celebrated at a literary release party Wednesday on the Promenade. Some of the writers and poets read their pieces at the event. More than 500 books were handed out to passersby, and the fiesta serves as a reminder that the literary community is thriving at GCU. GCU Today has the story. Christina Wagner and Mike Munoz are two GCU alumni who continue to make a significant impact on the University. 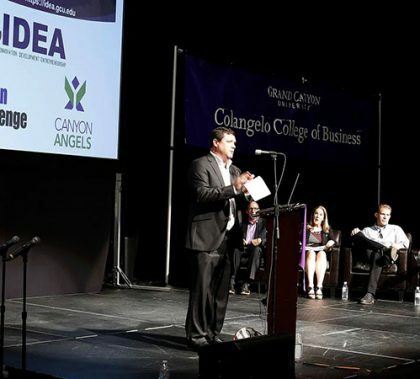 Wagner is director of arena marketing and sponsorship fulfillment, and Munoz teaches online philosophy, ethics and spirituality in nursing at GCU.